The French language is posh, romantic, playful and flirty. And this website will help you to learn this beautiful language. You might have heard that French is not easy to master. Indeed, there are several reasons that contribute to French being quite a challenge. It has a complex grammar that includes verb conjugations, differences between masculine and feminine genders, more tenses as compared to English, a broad range of exceptions, and its own intricate writing system. French pronunciation and accent may prove to be very tricky for a beginner because of nasal sounds, liaisons and contractions, silent letters, and new sounds that don't exist in English. The French rhythm is often tricky because of its monotone quality when all syllables are pronounced equally and without significant variations in stress. Despite its reputation for being difficult, French is not impossible to master. There is nothing to fear and once you learn the French alphabet and proper pronunciation of sounds, learning French becomes less intimidating, much more easy and fun. Besides that, French vocabulary is filled with words that are shared with other Romance and Indo-European languages. One of them is German, so you can now learn the German language on our site. If you speak English there is a high chance that you will be able to understand many French words and phrases with a minimal amount of effort. Learn the letters of the French alphabet. Discover common French names for girls and their meaning. Learn how to say numbers from zero to a billion in French. Discover and learn the most common words in French. Learn how to say the colors in French. Learn the days of the week in French. 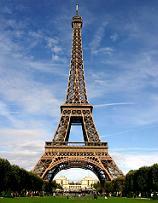 French is the second most studied language in the world. It is spoken as a native language on all five continents. According to the Ethnologue Report, there are 77 million people who speak French as their first language and another 51 million who speak French as their second language speakers. And if you are studying French to communicate with Francophones then you are one of almost 110 million students who share the same goal as you do. Language Daily is a new kind of language learning site -- a place for students to learn foreign languages with free lessons, and for educators to share their knowledge and connect with new audiences. We are building a free resource for everyone to use when learning a foreign language. As a contributor, you can make your lessons available to a large audience that is interested in studying a foreign language. If you are a teacher or an advanced language student, you can share what you know and contribute the knowledge for everybody to use for free on this website. You can take credit for your writing, provide credentials, and elicit reviews and comments. The more we grow, the more students will enjoy your lessons and learn about you. All posts must be your original work and we have certain requirements for the quality of the guest content.